Who failed to perform their duty in deadly prison shooting? Reynaldo Ramos was attempting to break up an inmate fight when he repeatedly fired his department-issued shotgun toward brawling inmates Carlos Perez and Andrew Arevalo. Bill Conger cut his losses and admitted the truth: As Boulder City police chief, he’d committed “a failure to perform a duty” when he tried to bury a felony cruelty investigation against Mary Jo Frazier, the town’s former animal control supervisor. It was an embarrassing misdemeanor. Conger’s punishment included a $1,000 fine. Surely it wasn’t the way the proud veteran cop had intended to cap his career. But take a moment to consider the phrase, “a failure to perform a duty.” Then ask yourself where it might apply to the investigation of the November 2014 shooting death of a handcuffed inmate at High Desert State Prison by a correctional officer trainee. 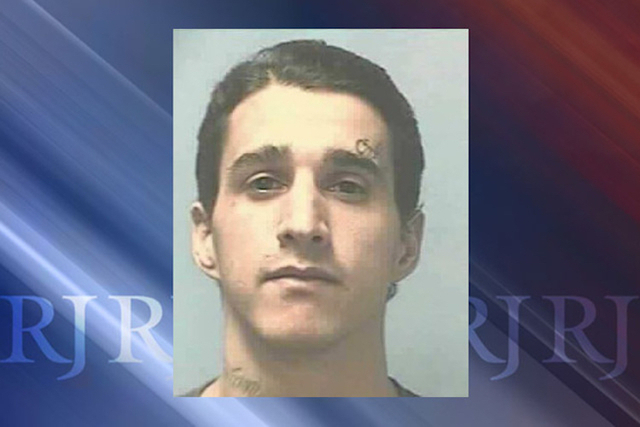 Reynaldo Ramos, who had just weeks on the job at the time of the incident, was charged by state Attorney General Adam Laxalt’s office with one count of involuntary manslaughter and another count of committing an act in reckless disregard that resulted in death. Ramos, who has since been terminated, was attempting to break up an inmate fight when he repeatedly fired his department-issued shotgun toward brawling inmates Carlos Perez and Andrew Arevalo. Whether from the fight, the shooting or in combination, Perez suffered fatal wounds. Arevalo was hit in the face with No. 7½ bird shot but survived. Ramos is charged, and perhaps the charges are justified, but who failed to perform their duty that night? While we’re asking questions, who is responsible for placing a trainee in a position where he might have to make a life-or-death decision? Surely not his relatively experienced fellow officers that night, who were terminated but not charged criminally. Although the practice has been essentially discontinued because of fallout from the incident, “skip shooting” bird shot off the concrete as a way of breaking up an inmate fight has been considered a “nonlethal” practice in penitentiaries in Nevada and elsewhere. (More enlightened correctional programs in other states years ago stopped the practice, but Nevada rarely has been accused of enlightenment in this area.) It was part of the limited training that probationary officer Ramos received before he was handed a 12-gauge and put to work. One thing I learned last year in interviews with more than a dozen veteran correctional officers is that it’s been common practice — and something well-known to state Department of Corrections bosses — to use inexperienced trainees in precarious places far outside their limited qualifications. The officers, many of whom walk their shifts at High Desert, said they regularly endured the dangers of understaffing and were commonly denied access to working radios, pepper spray and other tools required for their dangerous duty. Already poorly paid, they were also among the first to be hit with furlough days. They say they were some of the last to see the furloughs discontinued. In short, they were set up to fail in a place where one slip could cost their lives or the lives of inmates. The officers were, however, given access to a shotgun and told to do their duty. The inexperienced Ramos is charged with involuntary manslaughter and reckless disregard, but ask yourself another question: Who has been guilty of “a failure to perform a duty” inside the state prison system? The occupant of the warden’s office? The heads of the Department of Corrections? The residents of the halls of the Legislature? The governor, perhaps? You may choose to believe this trail is limited to a High Desert cellblock, but I disagree. Let’s follow it and see where it leads.